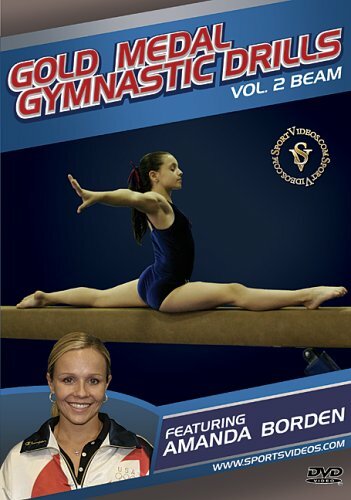 This is volume two of a comprehensive four-part gymnastics program featuring Amanda Borden. In this DVD, Amanda takes her team through a wide variety of progressive drills for the balance beam. Among the topics covered are: beam complex, balance fundamentals, handstands, jump drills, leap drills, turn drills, cartwheels, level six skills, beam tumbling, back handsprings, connected series and dismount series. A must have resource for coaches, parents and gymnasts. 65 minutes. 2006.